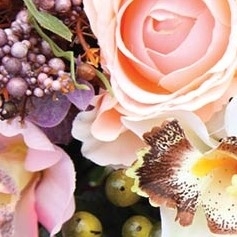 Welcome to The Artificial Flower Shop, the UK’s premier supplier of artificial, silk and foam flowers. From roses to calla lilies to peonies and many, many more, here you will find a wide range of everything from traditional flowers right through to the modern and contemporary. Whether they are for yourself or a gift (remember everyone loves to receive flowers and these ones will last forever!) you will find something to suit any room, any occasion and any personality. There is nothing artificial about our customer service though, from carefully selecting the best products for our customers right through to our fast and dependable delivery service! Our team are highly experienced, knowledgeable and like to deal directly with customers to ensure an efficient and pleasant shopping experience worth talking about. As part of this, if you are looking for something specific and can’t find it, do get in touch with your requests and we will do our best to fulfil your needs. We also stock a variety of floral sundries, specialising in seasonal accessories, so make sure to visit us regularly to ensure you don’t miss out on our latest products and offers! So for high quality, low prices and artificial flowers so realistic that even the bees are fooled, visit The Artificial Flower Shop!